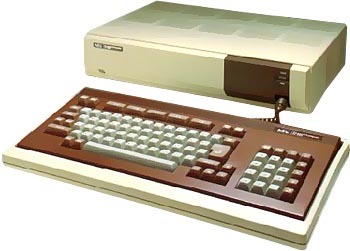 The NEC PC 8801 was the successor of PC 8001. It offered fine colour graphics. It had an optional MS-Dos board. It was one of the fist, if not the first color CPM computer. It ran in three bootable modes: CPM, MS-Dos, and N88-Basic. The N-Basic would natively boot on the system without disk, just like the PC 8001. It also had a software / hardware switch to turn it into PC 8001 mode. see more NEC PC 8801 Ebay auctions !